Ryan: Maria, tell us: how did you first get into growing orchids? Maria: My earliest experiences with orchids involved periodically bringing a plant home from the grocery store, and then watching it wither away a couple months later. Those plants often aren’t in great shape to begin with, and I certainly didn’t know what I was doing. I just liked the look of the flowers. When I was moving to NYC, I wanted to bring a little greenery into my home with me. It was also going to be the first time I’d be living in the same area for a while, so I just let myself go a little wild picking up new plants and joining the online communities on orchid growing. At some point I discovered that you can order plants from nurseries online, and that’s how I acquired most of my plants. It’s all been a very fun learning process for me. 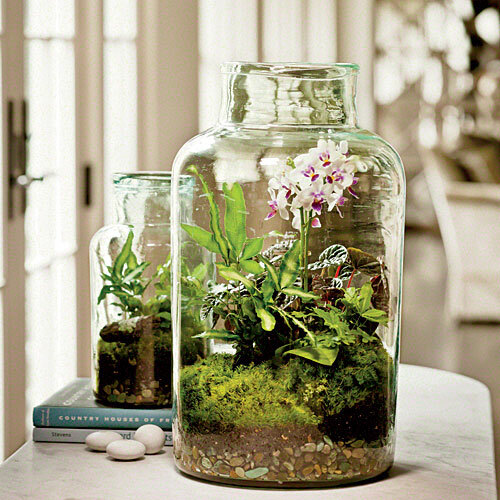 Ryan: I love your story, because so many people take that first orchid home from the grocery store… and then give up. For you, it was just part of the learning process. 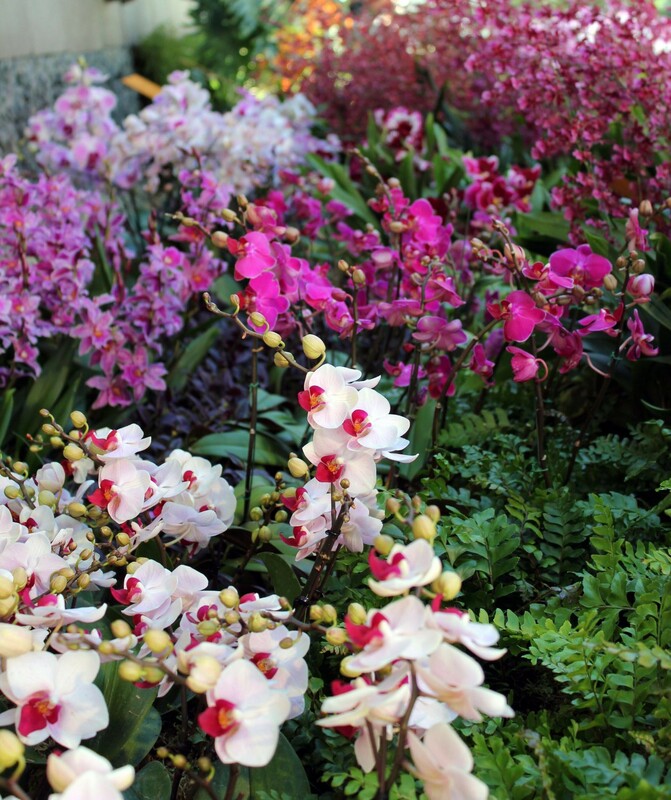 What’s your favorite orchid in your collection? Maria: I don’t really have one. I like big red flowers, but generally I’m most enthusiastic about whichever orchid is closest to blooming in my collection. Ryan: Isn’t that the truth? So how many orchids DO you have currently? And living in NYC, where exactly do you grow them? And roughly how many hours do you spend each week caring for your collection? Maria: I have 28 plants. And it’s actually a few too many right now! For a while, I would get into the habit of browsing orchid catalogues whenever I’d get bored, and inevitably come up with a reason to order “just one more” plant. Telling myself that there is no more space proved to be a very ineffectual counterargument. Eventually, just taking care of all the plants got to be too much of a time burden. Several of my orchids are mounted, and should ideally be watered every day. Then I also have a number of seedlings, whose small pots dry out very quickly. When I was really giving my orchids all the attention they needed, I was spending close to an hour every day on watering and care. Ryan: Have you been able to keep up that pace of “just one more” plant? Maria: Actually, lately I’ve run out of time maintain this kind of regimen. Instead of checking each pot every day to know when each plant should be watered, I just water everything every 3-4 days. It still takes close to an hour to water everything, but that is a lot more manageable when I don’t have to do it every day. As a result, my orchid collection is suffering a rather Darwinian natural selection process. I’ll probably lose a few plants this way, but the ones which remain will hopefully be less demanding on my time. Maria: The orchids grow on a set of shelves I put together, under fluorescent grow lights (see photo on the left). I originally planned to grow orchids on windowsills, but quickly realized that my apartment was too dark for this to work. All the windows face against a brick wall, and New York winters can be depressingly dark. Instead I use grow lights so my plants and I can both benefit from 14 – 16 hours of bright ‘daylight’ even in the depth of winter. The bottom shelf is also fitted with a 3-foot tall terrarium, which lets me hide any blooming plants from my cat. Otherwise, he has a tendency to bite off all my flower buds. Ryan: I imagine you’ve picked up quite a bit of “in the trenches” knowledge along the way… Tell us, what’s one of the most helpful orchid tips or tricks you’ve learned, that you think would be helpful to share with folks? Maria: I’ve found that the basic guidelines for growing orchids really do work quite well. Giving the orchid roots time to dry out is the single most important way to keep a plant healthy. And when it comes to blooming, giving the plants enough light is often all that’s really necessary. Ryan: Tell us about your website. I love that you track the progress of your orchids through photographs. What made you decide to start what you self-describe as a “photo journal” about orchids? Maria: My blog is a photo-journal about the orchids I grow. When I started it 1.5 years ago, it was mostly as a record for myself to keep track of how my plants were doing. I keep the posts very image-centric, whether I’m reporting on a new flower opening, or cataloging new root or leaf growth. I use a Canon T2i DSLR camera (and a standard 18-55mm lens) to take my photos. It lets me shoot in RAW format, which gives me control to adjust contrast and lighting levels on the computer afterwards, without losing detail, like this photo. Ryan: Thanks so much for sharing your story with us, Maria. So as we wrap things up, is there anything else you want to share? Sarah: Thanks for letting me share this post! Getting into orchid growing and starting my blog has been a wonderful journey. And one of the best parts has been the opportunity to connect with other orchid enthusiasts. 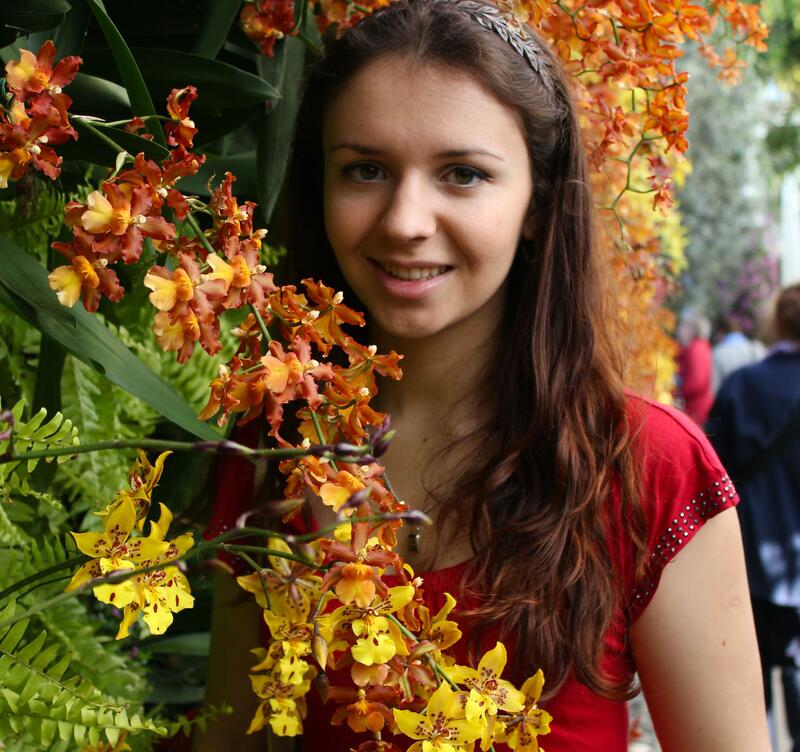 Maria Avrutsky is a grad student and orchid lover who lives New York City – where she has a collection of 28 orchids (and growing) in her small urban apartment. 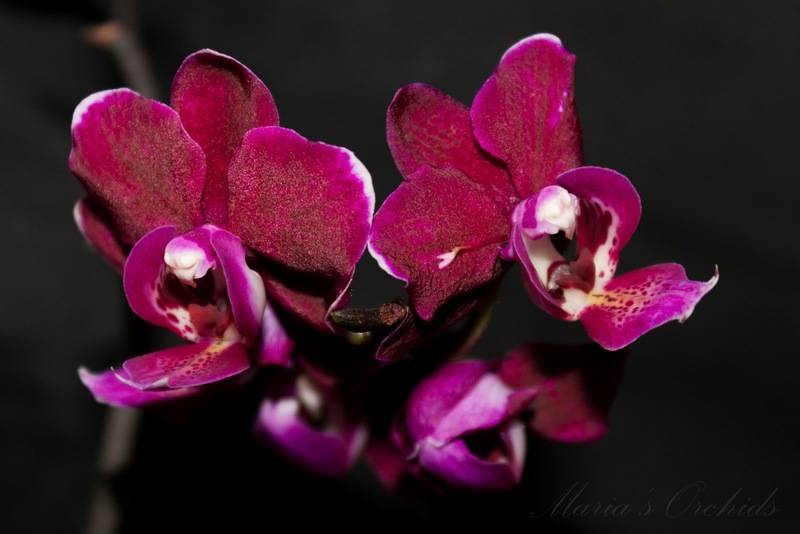 To get in touch with Maria and keep tabs on all the fascinating progress with her orchids (often in real time), check out her blog by visiting http://mariasorchids.blogspot.com/.